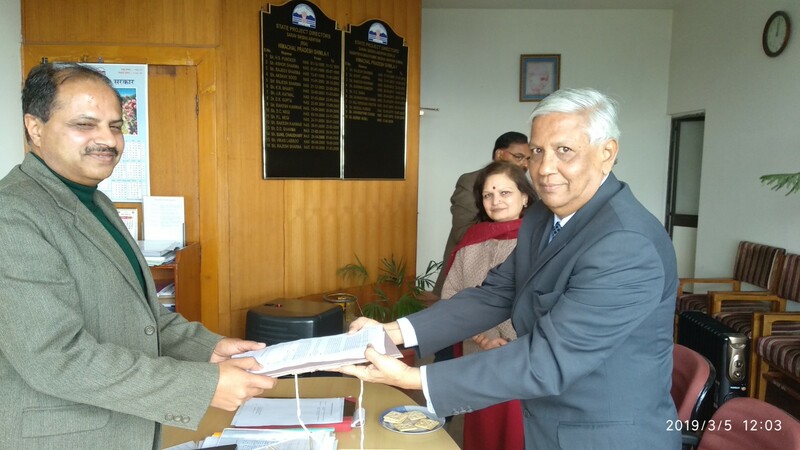 On 5 th March, 2019, Aparajitha Foundations signed an MoU with the Government of Himachal Pradesh. As per the MoU, Aparajitha is committed to impart the Teachers’ Training at the block level. This will be merged with a tentative departmental five days Teachers’ Training to be held in upcoming months for around 2,500 teachers across the state. 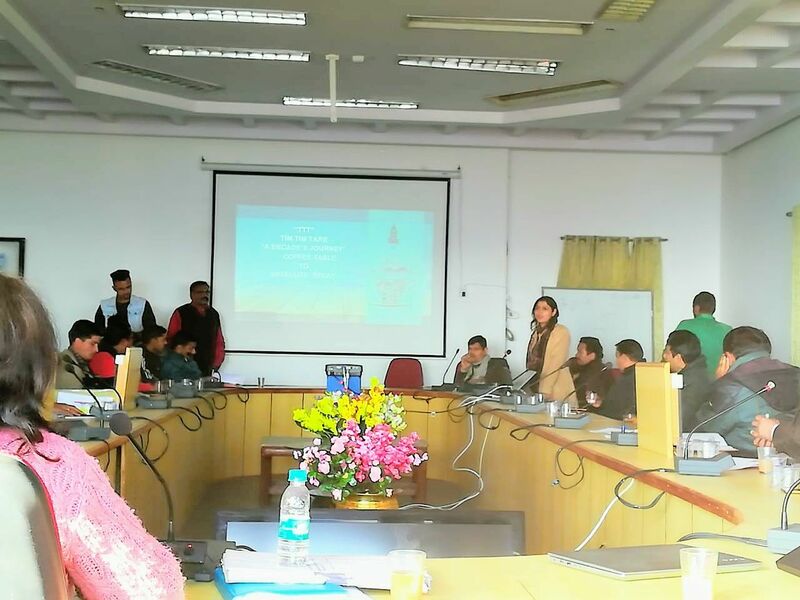 In continuation to this, a presentation was made by Ms Roonam Kaushik in a State Level Workshop for BRCs and TTIs and was organised by Department of Education, Himachal Pradesh, for around 55 participants from across the state. Also, a brief introduction of Aparajitha Foundations was given and Hand-outs on Life Skill programme along with a DVD folder to all the participants was distributed. 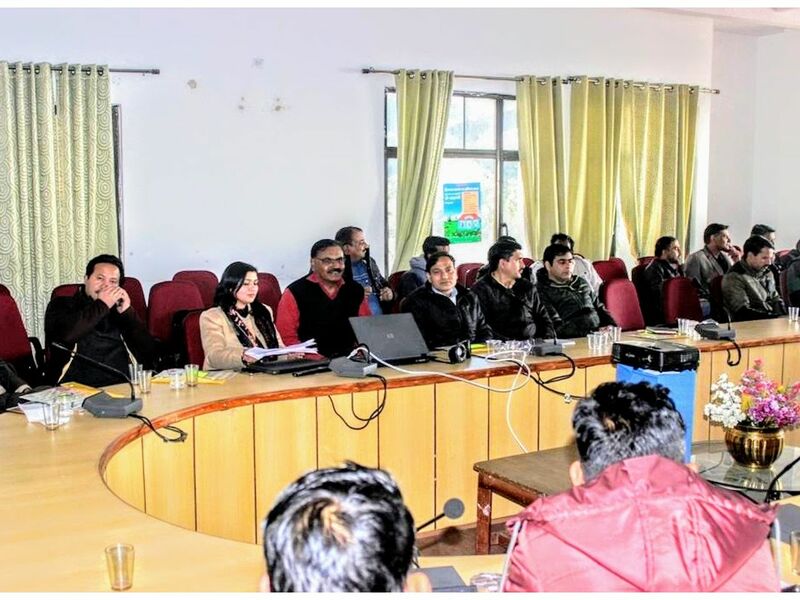 Ms Roonam Kaushik and Mr.Nitin Desai, our National Coordinator (in black sweater) introducing TTT to BRRCs, in the presence of SPD and other officials. In all about 50 people attended the programme. The MoU was signed by Shri. Ashish Kohli HAS, Special Project Director, Government of Himachal Pradesh, on behalf of the HP government and Aparajitha Foundations, was represented by Mr Padmanabhan, Head Education Initiatives. It was signed in SPD’s chamber on 5th March 2019. The MoU paves for rolling out TTT in Himachal Pradesh.